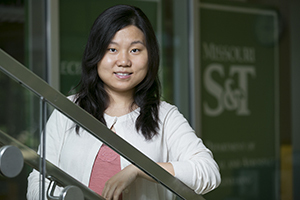 Dr. Jie Gao, assistant professor of mechanical and aerospace engineering at Missouri University of Science and Technology, has received the National Science Foundation’s Faculty Early Career Development (CAREER) Award for her work in the field of optical metasurfaces. Gao’s work could lead to advances in optical communications, beam shaping and conversion, and optical sensing images through the use of flat, plasmonic surfaces made from ultra-thin, metallic nanostructures. 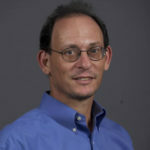 The CAREER Award is the NSF’s most prestigious honor for junior faculty members. By studying the underlying physics of metasurface-based light manipulation and light-matter interaction, Gao hopes to solve the underlying research challenges in singular optics: how to generate pure vortices with broad bandwidth and polarization singular beams on a chip and how to realize compact linear and nonlinear vortex beam converters ─ as well as to determine what kind of device best enables direct identification of vortex topological changes. Gao joined the Missouri S&T faculty in 2012 after earning a master of science and Ph.D., both in applied physics, from Columbia University. At S&T she oversees the Nanophotonics Laboratory, a multi-disciplinary effort that bridges the disciplines of engineering, optics, physics and material science by studying light-matter interactions at the nanoscale.